Consequence of aging, the natural rate of hyaluronic Acid in skin diminishes and it loses its volume. The junction sags and wrinkles appear. Immediate visible effect: Thanks to its filling action, Hyaluronic Acid immediately gives volume to the skin, and thus visibly reduces the wrinkles. 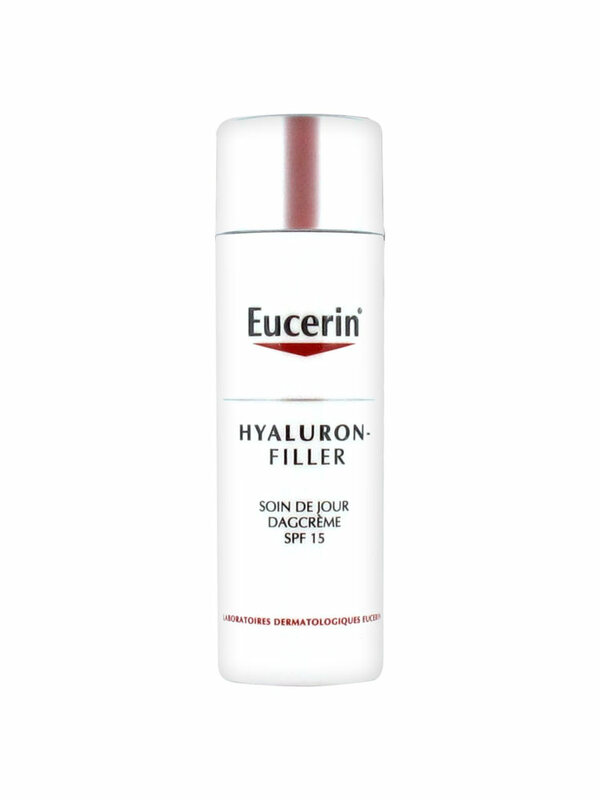 It fills all the wrinkles, even the deepest ones: Eucerin Hyaluron-Filler Day Care for Norlmal to Combination Skin contains Saponin, a bioactive ingredient which stimulates the natural synthesis of the Hyaluronic Acid. The weakened fabric under the wrinkles is reinforced. The wrinkles, even the deepest, are filled up. The velvety cream makes the skin pleasantly silky. SPF 15 + UVA Protection. Apply in the morning to the face, neck and cleavage. Indication: Fills even the deep wrinkles. 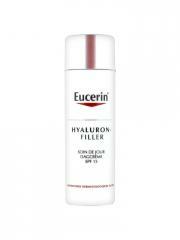 Moisturises and smoothes the normal to combination skins.